The nights are drawing in, the clocks are going back, yes, it’s that time of year and we are having a spooktacular Halloween. 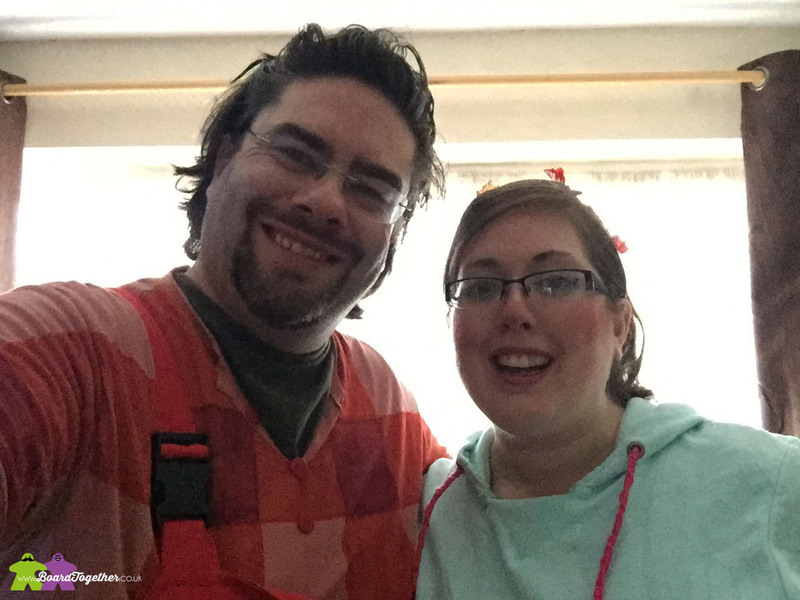 Most years we are invited to a fancy dress party and our costumes have been a bit hit and miss in the past. Mike dressed up as Harry Dresden once and was mistaken for a cowboy! So this year we knuckled down and really thought about what we could dress up as. 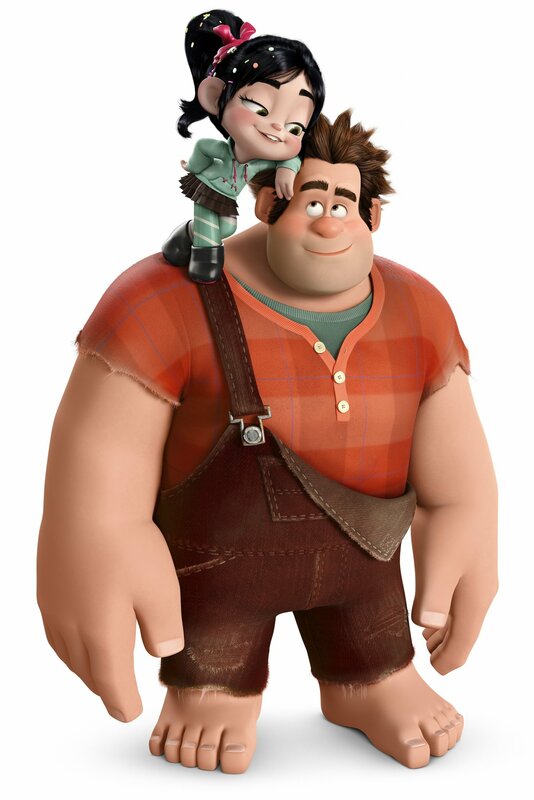 Well, we were watching one of our favorite films, Wreck It Ralph and knew it would make a perfect costume. 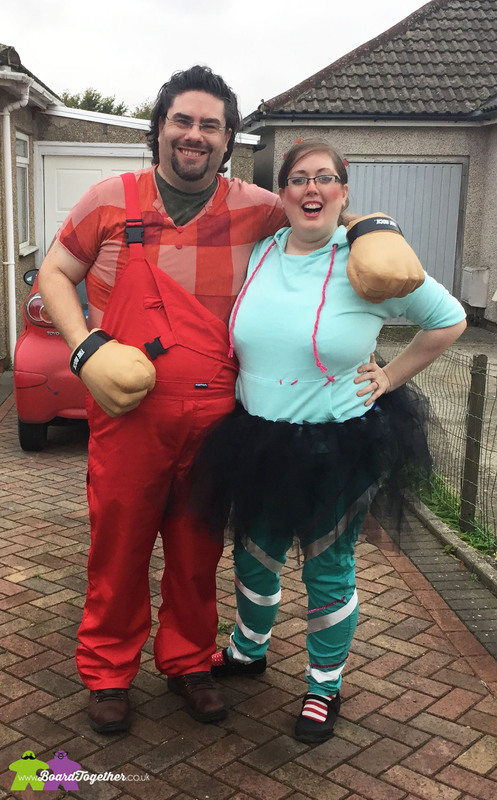 This year we went as Ralph and Vanellope. It was great fun getting all the pieces together. Mike’s hands were kids wrestling toys that even made hitting noises! I put real twizzlers and gummy bears in my hair. We had a fun time at the party and we were up against some great competition. I am getting quite good now! I always draw my designs onto an A4 sized piece of paper and transfer the design to the pumpkin. Sticking a pin in dotted intervals around the drawing, then marking the bits to be removed. Years ago Mike got me a cheap pumpkin carving kit from the super market and it works wonders. 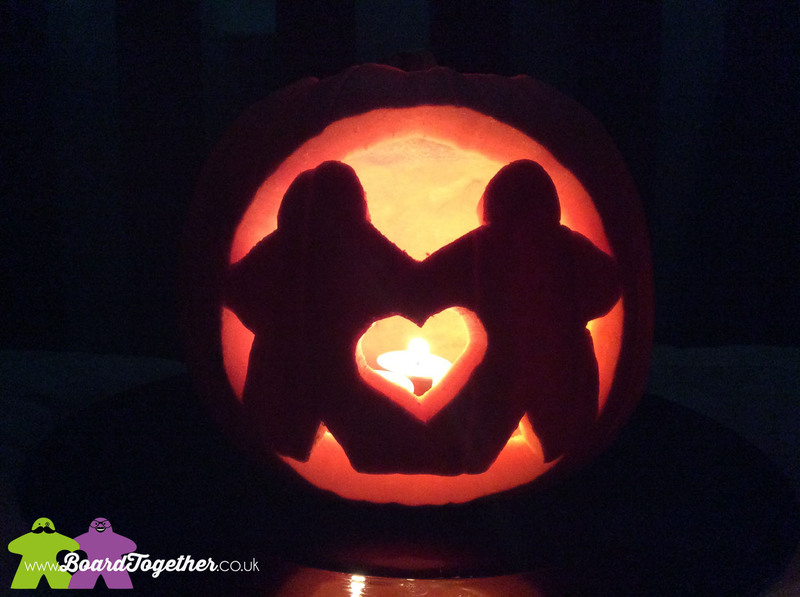 Poke a whole through the pumpkin and then use a small saw like tool to cut out the design. I even have a scoop to get all the flesh out . . . . Which leads me to a Devonald Halloween tradition – Pumpkin & Chorizo Soup. Yummy. 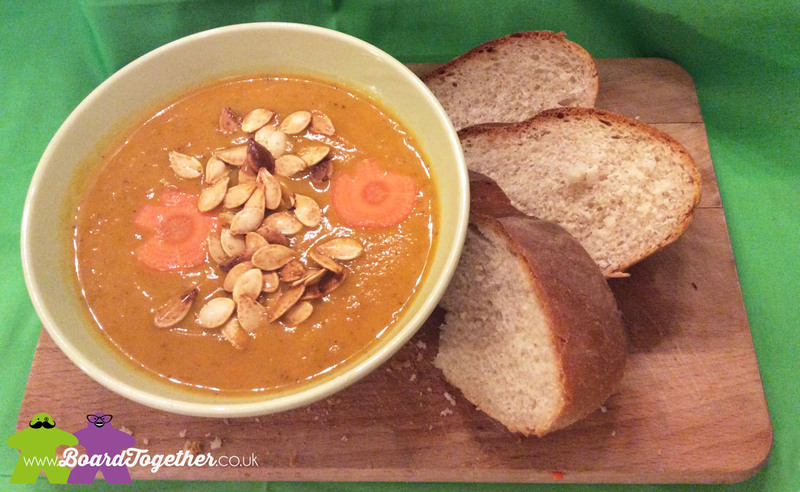 This year we even had a go at making little carrot pumpkins, an idea I found on Pintrest – find out how to make them here – Pumpkin Shaped Carrots They were a cute addition for this soup and bobbed along nicely with the chorizo and toasted seeds. 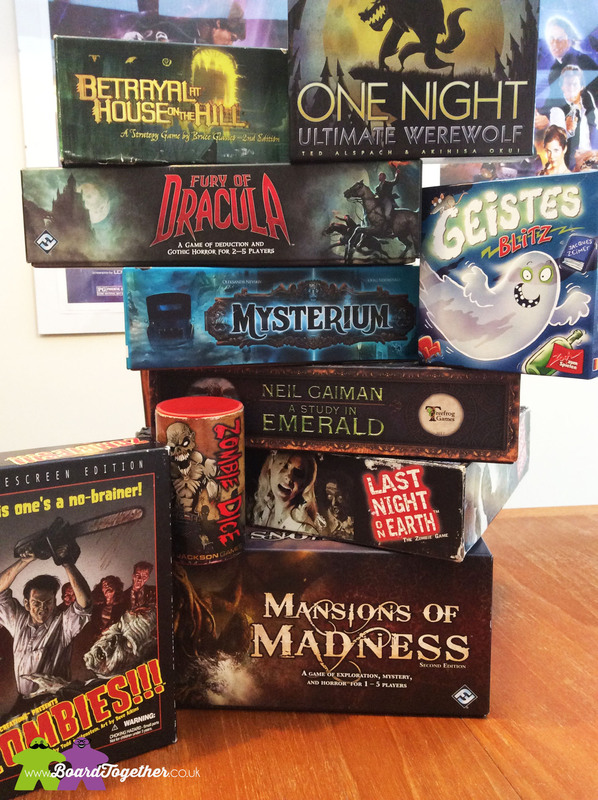 Now, no Halloween is complete without playing a few games in our house. Turns out we have quite a few spooky themed games to choose from. 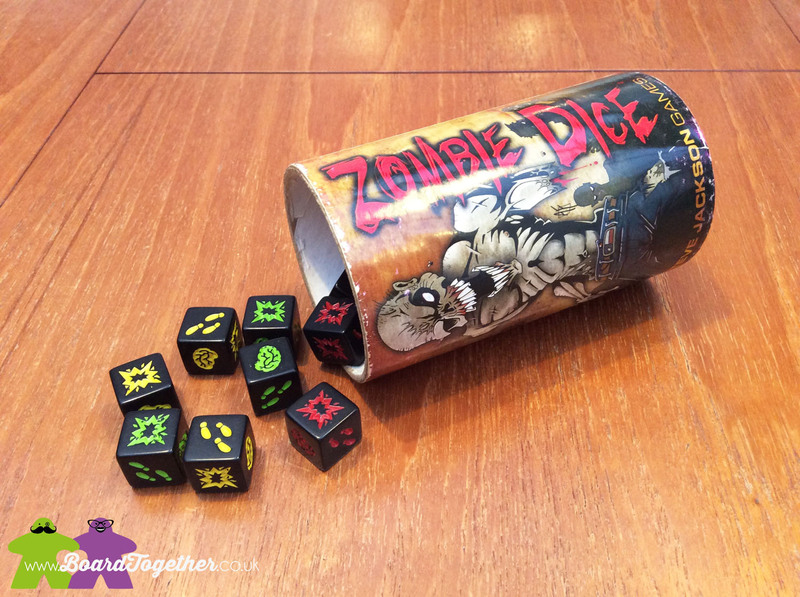 Zombie Dice is a great game to play with anyone as the rules are soooo simple. Roll the dice, brains are good, shotgun blasts are bad, first to 13 brains wins, simple. This little push your luck dice game is a hit whenever we play it with gamers and non-gamers alike, we cannot recommend it enough for your collection. 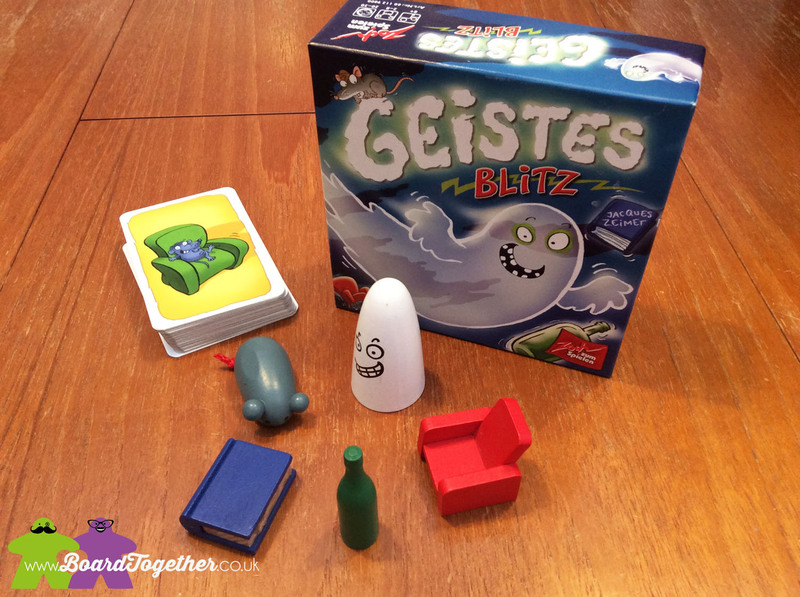 Geistes Blitz is another game that will go down well with non-gamers. We are rather boisterous when playing this with my family so I can imagine it going down well in a party setting. In fact I can imagine it would get funnier as people kept drinking the halloween punch! Again really simple rules – ‘It is what it is or it is what it isnt’ – you grab the item shown on the card or the item that is not shown on the card. The picture below shows the Ghost being the correct item to grab, as the mouse and the chair are shown, but in the wrong colours so the book at the bottle are also ruled out, leaving only the ghost. I recommend you dial 99 ready for an ambulance if you ever play this game with my mum – there will be blood! 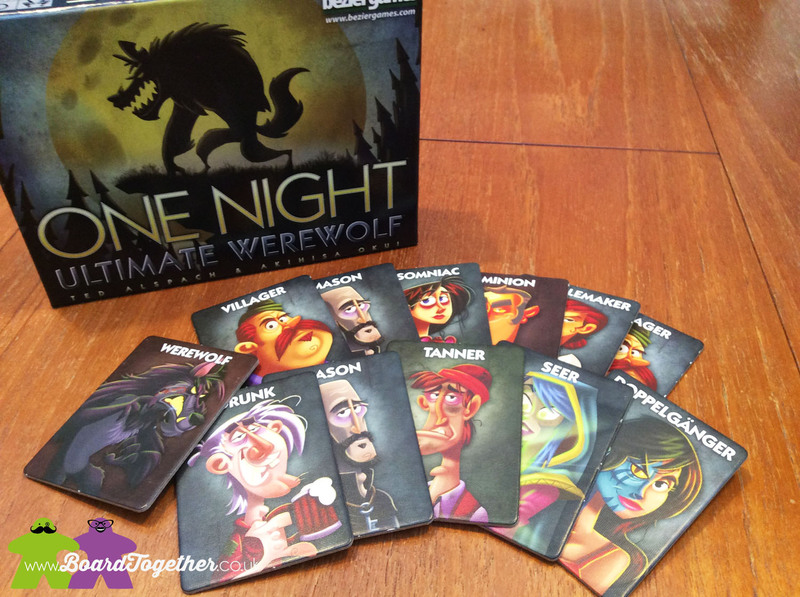 A great game for a big group of people is One Night Ultimate Warewolf. This game is made even better if you download the app. That way you set the game up and everyone can play. Otherwise someone has to oversee what is going on. We have played this a few times and it does get funny when a group of people are all accusing the wrong person of being a warewolf and the culprit is just happily going along with it. Friendships will be made and broken playing this game! 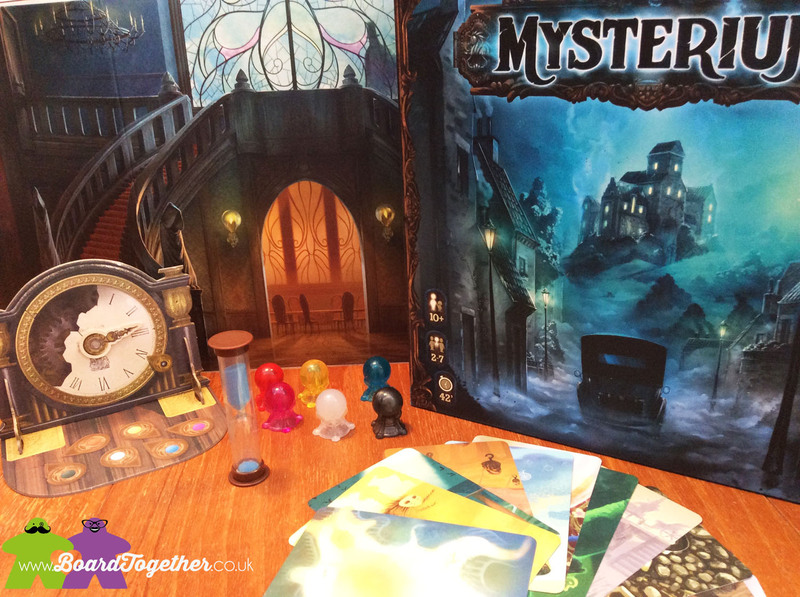 If you are having a quiet night in with good friends, then we would go for Mysterium. We have only played this game a handful of times but it is always interesting. The more you know someone, the easier it should be to guess their card choices and pick the correct character to ‘unlock the mysteries’. It never is easy and whoever plays the ghost hides behind the screen giggling or fuming in frustration at the other players stupid choices when you have made it so easy for them!!! Whatever you get up to tonight stay safe if you go trick or treating and have a fun time playing games. Share with us your pictures of costumes on Facebook and Twitter, we would love to see them.